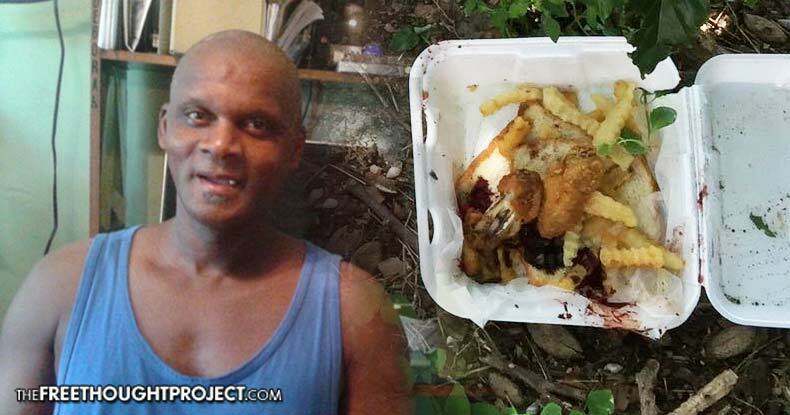 Broward County, FL – Gregory Frazier, 55, was sitting in his backyard after an argument with his daughter, eating chicken wings and fries, when Broward Sheriff’s deputies took his life. Frazier had done nothing illegal or threatening, and just wanted the cops to leave him alone. For telling the cops to leave him alone, he got five bullets in the back. The tragic story is another example of what can happen when you call the cops. All too often guns are drawn and deadly force is deployed as a first response. Frazier’s sister had called 9-1-1 during an argument he was having with his daughter and niece, Keneisha Woodard. Woodard said he was “a little rowdy with me” and flipped some furniture in the living room. But by the time deputies arrived, he was sitting in the backyard eating food. Frazier’s sister, Deborah Frazier, told the 911 dispatcher that he had a knife and was “physical.” The knife was a small, Swiss Army style that he usually carried around, but Woodard said she had not seen the knife on him at the time of the shooting. The deputies are on administrative leave while the shooting is investigated. History tells us that their conclusion will likely be the shooting was justified, even though the man was shot in the back while sitting in a chair with a box of food, just asking to be left alone. As we’ve reported before, a sizeable chunk of the Free Thought Project archives is devoted solely to this single department in Florida. The Broward Sheriff’s Office is notorious for its rapists, child molesting stalkers, sadistic dog siccing torturers, and woman battering deputies. Many of these cops are never fired, and, even if they are, they are likely all given paid vacations first — some of them for months, or longer. Neighbors and relatives wonder why the deputies wouldn’t try to subdue him, if needed, in a non-lethal way instead of shooting him within two minutes of arriving. “Like everybody else, nobody goes through life having no problems, but when your life’s taken away from you, it has to be justified,” said Francis Honore, a family friend and local minister. When cops are called for domestic disturbances, they are likely to escalate the situation rather than calm things down and provide a solution. This was the case when a father called 911 for help with his son, but cops came in shooting, killing the son and innocent mother of five. Deborah Frazier regrets making that call.